How do paternity DNA tests work and what are their costs? - DNA Testing NYC - AABB DNA Testing - MD supervised paternity DNA testing and Immigration DNA testing at the best price. How do paternity DNA tests work and what are their costs? Why should you get a paternity DNA test? There are many reasons someone may want a paternity test. Perhaps a mother would like to confirm the father of her child. Or perhaps a father would like to confirm a child as his own. Or a grown child may want to know who his or her father really is. Whatever your reason for seeking a paternity test, it is important to understand how they work. What samples do we need to perform a paternity test? When we perform a paternity test, we usually collect buccal cells, or cheek cells, from inside a person’s cheek using a cheek swab made of cotton. We will need swab samples from both the child and the alleged father to be tested. In some cases, people want a paternity test done before the child is born. In this case, we can refer you to Genetic specialists that will perform an amniocentesis procedure in which amniotic fluid is taken from the womb and used as a sample. However, there is a small risk of miscarriage when performing this procedure. There is also a new way to perform a paternity test before the child is born, without a risk of miscarriage. Because some DNA from the fetus floats around in the mother’s bloodstream, we can take some of her blood and use that as the sample for the child. After we have the DNA sample either from cheek cells, amniotic fluid, or blood, we can perform the DNA test. How do paternity tests work? Each person has a unique set of DNA. All of a person’s DNA put together is called a genome. When people are related, their genomes are more similar to each other than when they are not related. When we compare the genomes of multiple people, we are able to see how similar the genomes are. This comparison is called DNA profiling or Genetic Fingerprinting, and is the same process used in criminal investigations to see if someone’s fingerprint or hair matches the genome of the suspect. For a paternity test with a female child, we use this method to compare the two genomes. However, in performing a paternity test for a male child, this process of comparison becomes much easier. Instead of using the entire genome, we are able to compare just the Y chromosome from the child and the potential father because male children inherit their father’s Y chromosome. After we perform the paternity test, you will receive a percentage result. This percentage represents the probability that the child and potential father are related. If the probability is 0% then they are not related. If they are related, the probability may be as high as 99.99%. These paternity tests are very accurate. How much does a paternity test cost? The cost of a paternity test is based on the type of paternity test you choose. There are two types: Legal paternity tests and Non-Legal paternity tests. 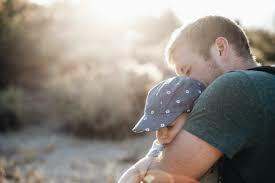 Legal paternity tests are used in court to establish things such as mandatory child support. Non-Legal paternity tests are used for your own personal information. While Legal Paternity tests can cost between $100 and $500, Non-Legal paternity tests can be done for as little as $15 because they can be done from home. A Legal paternity test is more expensive because it must be done at an AABB-accredited DNA testing lab, such as our lab. Contact us today to schedule a paternity test appointment with the best DNA testing lab in NYC. Why Do DNA Tests for Immigration Purpose Cost More than Paternity Tests? Welcome to the Best DNA Testing in NYC! We offer New York’s BEST AND MOST AFFORDABLE DNA TESTING with a full range of services to verify family relationships. We are open on Saturday & Sunday! 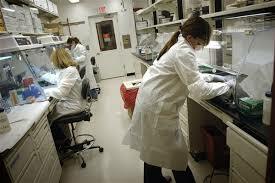 EXPERT DNA TESTING SERVICES AT THE LOWEST PRICES ANYWHERE! * EVEN LOWER PRICE THAN HOME DNA KITS. * NO HIDDEN COSTS – Collection kits, photography, fingerprinting and any medical prescriptions all included. * 99.9% (OR GREATER) ACCURACY AND AABB CERTIFIED. * FINAL RESULTS ARE PRESENTED IN A NOTARIZED DOCUMENT IN A CLEAR AND CONCISE FORM. * ALL RESULTS ARE COURT ADMISSIBLE. * OVER 10 YEARS EXPERIENCE. * FAST AND PAINLESS SAMPLE COLLECTIONS, USING BUCCAL (Mouth) SWABS. * SPANISH, PORTUGESE, FRENCH AND CREOLE SPOKEN. * PLEASE SEE TRANSLATIONS OF OUR SERVICES IN: SPANISH, BENGALI, URDU, CHINESE AND NEPALESE! * OPEN SATURDAYS & Sundays! Located In Woodside Queens, easily reachable from all boroughs (Queens, Manhattan, Brooklyn, Bronx and Staten Island), Westchester, Nassau and Suffolk. 4 Blocks from No. 7 Train (Flushing Line) and Long Island Railroad. Has your petition been denied? Did you miss your deadline? Call us. We have found that in many cases, our personalized service can overturn your denial. We will call the passport office or immigration dept. for you and plead your case over phone verbally. 90% of time they will revoke your denial, as long as you get the required information to them quickly. MD supervised paternity DNA testing and Immigration DNA testing at the best price.